We are a dynamic, mid-sized, employee-owned consulting and engineering company that has experienced sustained organic growth, thanks to our employees' achievements. We understand that our people are the core of our success, and we strive to ensure our employees are attractively rewarded and have opportunities for continuing education and professional growth. We value a passionate and diverse work force that embraces the needs of our clients and our communities. Founded in 1983, the senior personnel who founded the firm remain active contributors to our day-to-day operations. These individuals grew a five-person, one-office boutique firm to a robust 1,200+ person international firm and have helped shape the firm's technical successes and financial growth. Not too big, not too small. Our largest office has about 100 people, which means as a new employee you won't experience the sense of anonymity that often goes with larger company experiences. 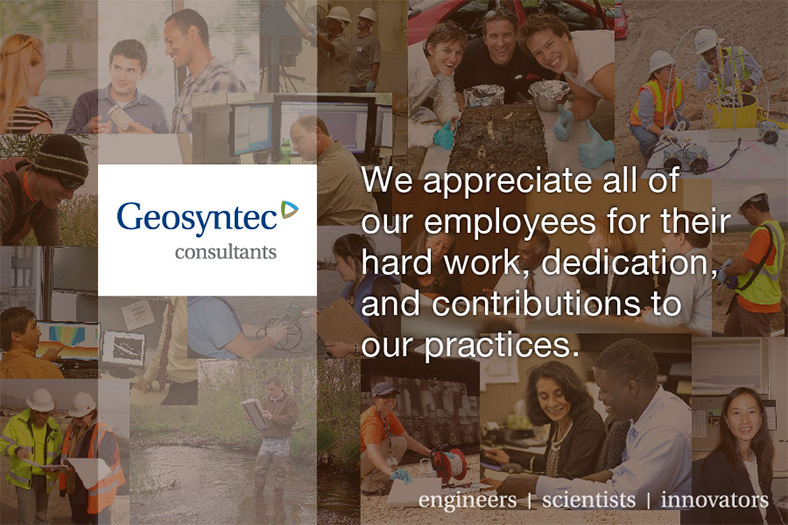 We strive to make all employees feel a part of our Geosyntec family, celebrating each professional and personal milestone with equal accord. Members of our senior management team routinely visit each office and make it a point to touch base with as many staff members as possible during their visits. Everyone in our firm is expected to be a key contributor to our success, with opportunities for growth around every corner. We have deliberately chosen to remain an employee-owned firm. While more than 75% of the top 20 environmental consulting firms active in 1990 are now dissolved due to bankruptcy or by mergers and acquisitions, many to large, publicly held entities, we value the independence that being employee-owned affords us. We choose not to report to a group of outside investors who don't understand us, our culture, or our business. We are accountable solely to ourselves, our employee-owners, and, most importantly, to our clients. Over 1/3 of our employees are shareholders in the firm, participating in annual Board of Directors elections and providing direct input to the Board on the firm's growth and direction. In this way, we shape our own destiny. Take a moment to learn more about our Mission and Values. 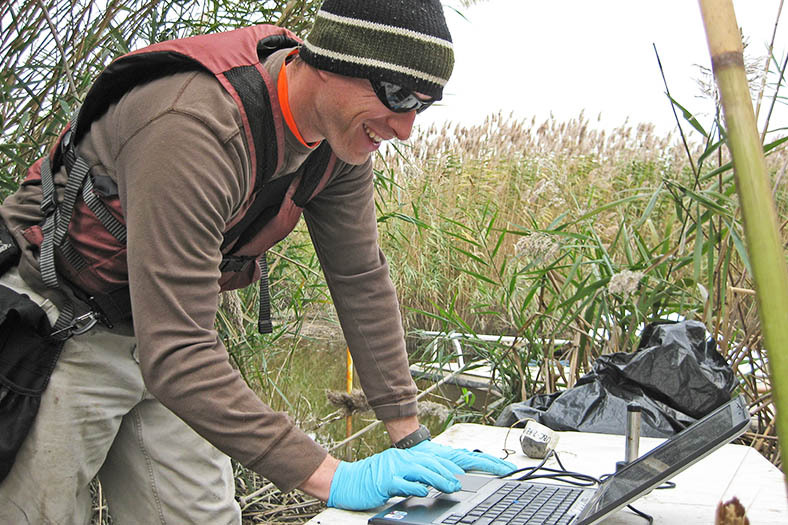 Our staff includes engineers, scientists, and other specialists representing 25 separate disciplines who come together to help clients with their most challenging initiatives or to help them solve their most difficult problems. 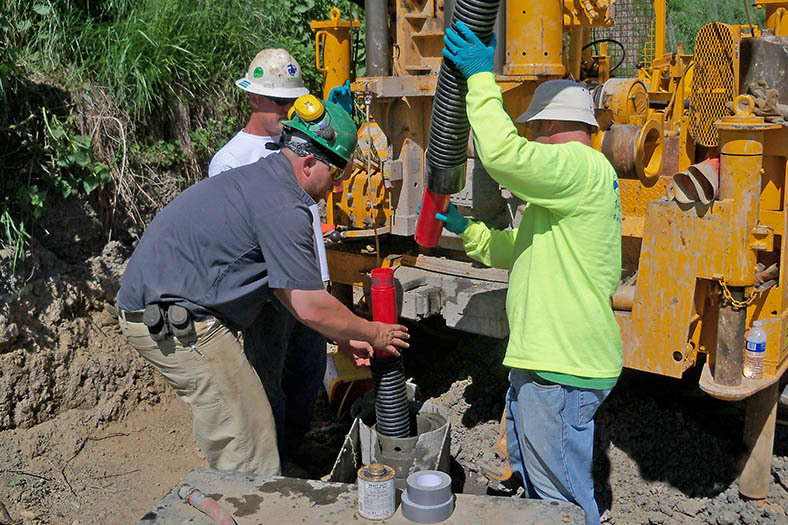 Our clients - commercial and industrial entities, law firms, municipalities, and government agencies at the state and federal level - choose Geosyntec to aid them in addressing environmental, natural resource, and infrastructure opportunities and challenges. We help them by providing advice, studies, recommendations, and engineering designs in these areas. Being a consultant often means working on a diverse mix of projects concurrently, with widely varying challenges, approaches, and objectives. At Geosyntec, it also means helping clients meet their sustainability goals, their business objectives, and contributing to an earth-friendly bottom line. Over the last seven years, our firm has doubled its annual revenue through sustained organic growth. Unlike many of our competitors, our rate of growth is not mandated by an outside group of shareholders, rather it's a natural outcome of doing what we do best – providing practical, often innovative solutions and exceptional service to our clients. We have chosen to evolve through targeted geographic expansion, with a focus on maintaining our core values of technology leadership, practice innovation, and personal entrepreneurship as a pathway towards success. Over the last 20 years, Geosyntec has increased revenue every single year while meeting our strategic goals for technology development, financial management, and creating career advancement opportunities for our staff. Our achievements include national recognition as a destination workplace, outstanding growth, and technical project excellence. Our projects have competed on local, state, and national levels for American Consulting Engineering Council awards, and the ASCE has honored members of our staff with medals and awards for their contributions to the field of engineering. Among our core values are teamwork, goodwill, and a generous spirit. As part of implementing these values, we recognize the contributions and hard work all employees make to the success of the firm. We recognize and reward each employee in a variety of ways, including base salary, benefits, and the opportunity for an annual bonus, stock options, and profit sharing, adding up to a total compensation package that is designed to be attractive compared to peer firms and to help each employee achieve a high quality of life. We are a "destination workplace" for those who are passionate about their career. We invite you to learn more about our benefits. We are committed to continuing our employees' development through a variety of training programs, including practice-based webinars and conferences, and business skills training classes. We also actively support professional development through participation in professional associations and encourage our staff to publish their work and present their findings at industry conferences. Additionally, we offer a mentoring program to help our employees learn what it takes to flourish within our culture. Learn more about our professional development programs. A consulting career can be challenging …. long hours at times, pressure to juggle schedules, and numerous technical and project management challenges. Those who are the most successful within our culture are those who truly love what they do and are motivated to continually grow and learn, not because they have to, but because they want to. 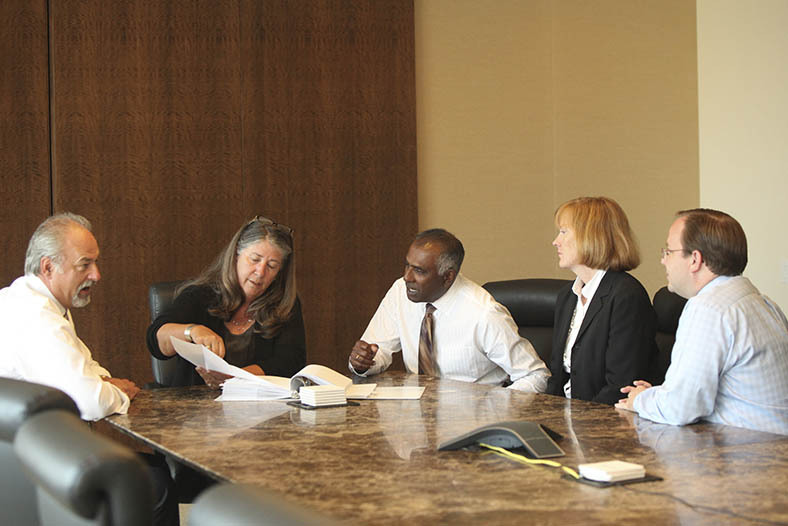 At Geosyntec, we promote a diverse and inclusive environment in which all of our employees feel empowered to bring their best to the firm every day. We understand that each individual represents a unique perspective that is to be valued and respected. As we build upon our success, we recognize that a diverse workforce — in all aspects — contributes to our growth and betters our ability to serve our global clients. Read more about our EEO and Affirmative Action policy. Geosyntec routinely makes charitable contributions to various civic and non-profit organizations, such as the Red Cross, but we understand that time is often more valuable than money. Many of our employees take the time to give back to the communities in which we live. Learn more about what our employees have accomplished.